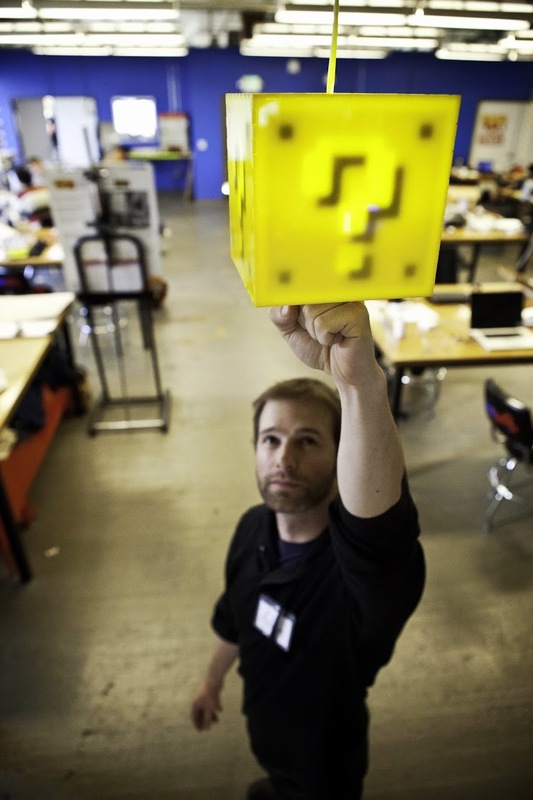 My co-founder Bryan shared the idea for the Question Block Lamp at a holiday party. It had been on the front of his mind for a few months – a touch-sensitive, sound-emitting lamp, inspired by the old-school video games he loved as a kid. Being a gamer myself, I was immediately hooked. Bryan was an electronics whiz, and I had familiarity with a broad set of fabrication tools. It was a match made in maker heaven. Within days of our first discussion, we were laser cutting acrylic boxes and CNC milling circuit boards from blank copper clad. In just two short weeks, we had our first working lamp! We posted the lamp to Etsy, and that’s where things really took off. We got exposure from all over the web, and orders started pouring in. We didn’t know what to expect at first, but with the volume we were seeing, it was clear that we needed to change our production methods. We rapidly moved from cut-and-glued plastic embellishments to screen printing the interior design. We ditched the CNC-milled through-hole boards for professionally made surface mount PCBs reflowed in a toaster oven. And we said goodbye to the superglue in favor of industrial strength acrylic cement. 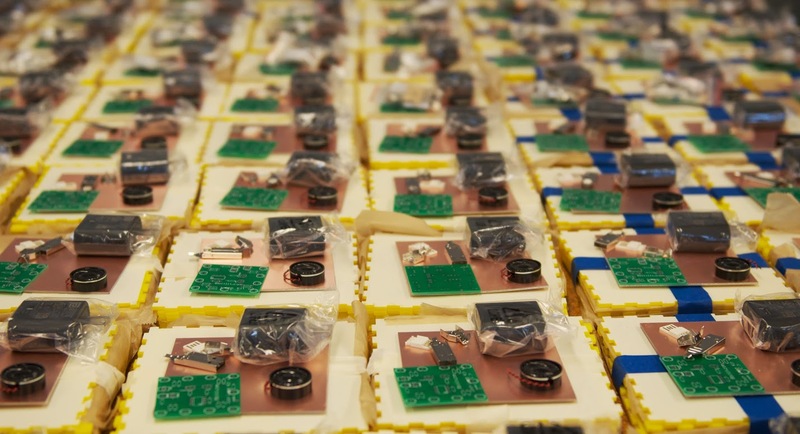 Over the next several months, we built and shipped just over 1,000 lamps. At that point we took a breath, looked back over the grueling hand-assembly and thought, “there has to be a better way.” That’s when we decided to redesign the lamp for mass production. Because laser-cutting was a fairly expensive process, we redesigned the sides to be die-cut. We also created a new circuit board that decreased the part count and greatly simplified assembly, while also giving a big boost to touch sensitivity. We built a new programming jig that could flash each assembled board and test it for flaws automatically. We tried to keep our production methods simple, and tooling inexpensive, as we’d heard of the difficulties scaling from a small operation to working with a factory. Throughout this process we had help from a skilled outsourcing company, Berkeley Sourcing Group. They were instrumental in recommending production techniques and finding facilities overseas to get the job done right. Now, after months of reworking the product, we’ve launched the new version on Kickstarter. We kept the rewards fairly simple – just a lamp and a matching aluminum stand – because we wanted to make sure we could make a great product and fulfill the rewards on time. 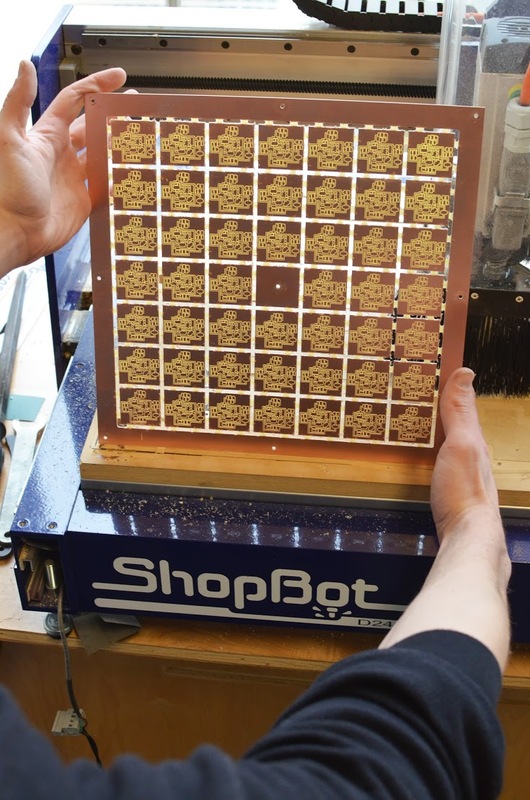 For the die-hard fans, we’re offering a limited run of lamps handmade in San Francisco, so we’ll be breaking out the solder stencils one more time. We’re incredibly excited to see the pledges come in, and can’t wait to start production on the new lamps.